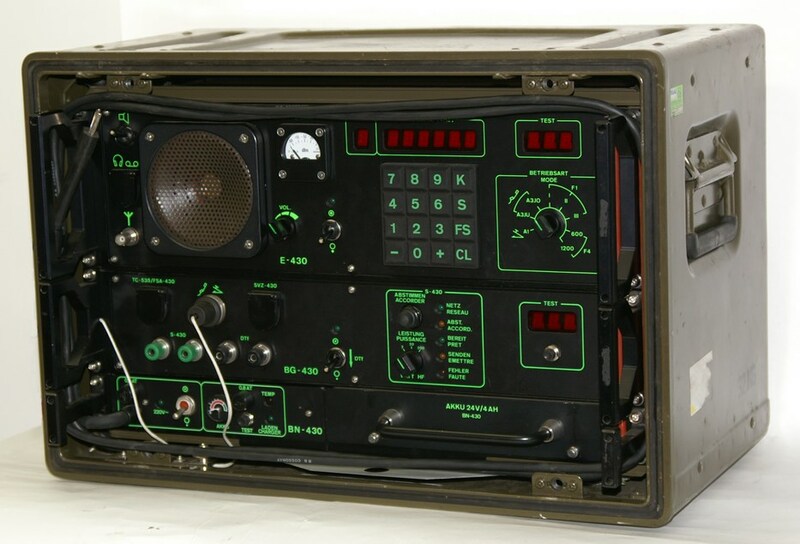 In the late eighties, the shortwave communications system SE-430 has been introduced to ensure stable communications between distant command posts over ionospheric shortwave communication. These stations could be located at much higher distance then with the usual VHF communications sets, which operate on not much more then sight distance. under standard conditions used with a dipole antenna with a central pole with automated antenna tuner AG-510/430 or onboard a vehicle with a whip antenna. The shortwave transceiver SE-430 is used to communicate over long distances using ionospheric connections, the output power in CW (A1), single sideband telephony (A3JU/A3JO) and radioteletype (F1, F4) is 200 W PEP at maximum. 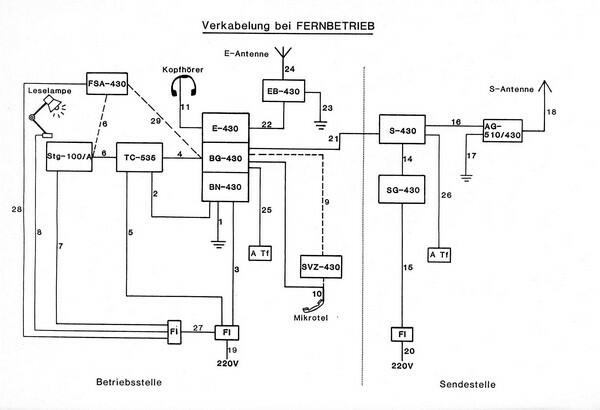 The complete communications system consists of a control unit / Bedienungseinheit BE-430, usually connected to a encrypter and a radioteletype machine. The signal is transferred over field telephone lines to the transmitter site, which can be installed at quite a long distance. 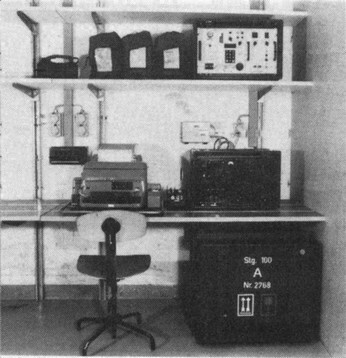 The transmitter site equipment consists of the transmitter S-430, it's power supply SG-430 and the automated antenna tuner AG-510/430. The complete control unit has a weight of 32 kg, the remote controlled transmitter 37 kg and the transmitter power supply another 28 kg. In the control unit BE-430, the receiver E-430, the transmitter control BG-430 and a battery power supply (BN-430 with an accumulator block) are united in one cabinet. The microphone can be connected directly or via a SVZB (speech encryption system) for speech scrambling operation. Usually, written messages have been sent: in earlier days a huge and noisy teletypewriter Siemens STG-100/A via a connector box FSA-430 or in the improved setup a TmS-430, a telematic set consisting of a notebook computer with necessary software, a modem and a printer, all in a huge green case. The control unit BE-430 and the transmitter S-430 can be operated with direct connection or via a field telephone or public telephone line between control unit and transmitter for remote operation. There is the possibility to use a standard field telephone as service telephone to communicate between control and remote transmitter site. 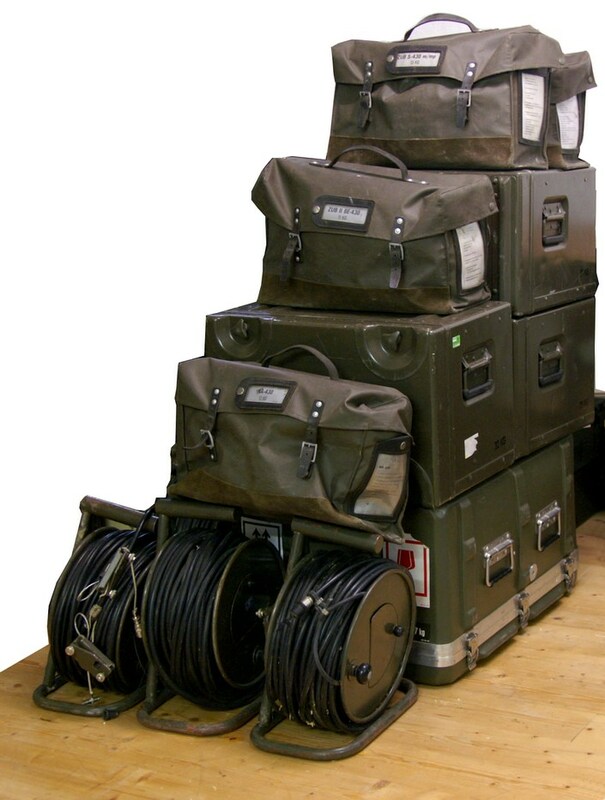 The transmitter S-430 comes with it's own mains power supply SG-430, both in huge olive green cases. Usually, a dipole antenna which needs 15 x 80 meters is fed via an automatic antenna tuner AG-510/430. The transmitter can be fully remote controlled for frequency changes and antenna tuning. A test feature lets you perform automated test of the control unit as well as the tranmitter and antenna tuner systems. 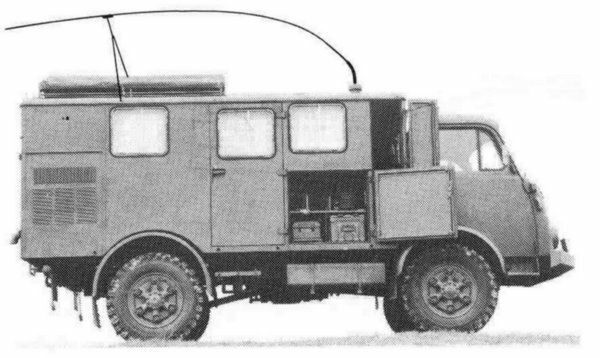 The system can be used as SE-430/t portable or with fixed installation in a shelter, or as SE-430/m on a four wheel driven vehicle Steyr 4 x 4.